Undersink food waste strainer tank with 8 litre solids basket and pipe connections. 304 stainless steel. Up to 10 years warranty against leakages. 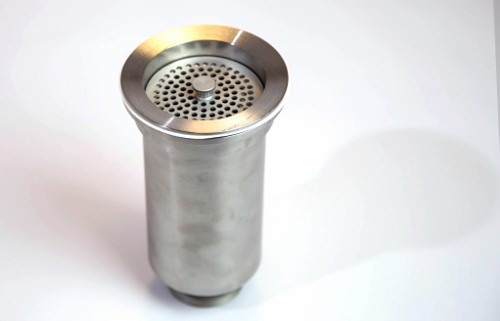 Undersink food waste strainer tank with 12 litre solids basket and pipe connections. 304 stainless steel. Up to 10 years warranty against leakages. 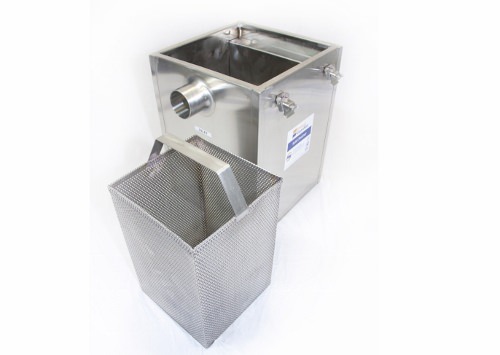 Undersink food waste strainer tank with 23 litre solids basket and pipe connections. 304 stainless steel. Up to 10 years warranty against leakages.